On Wednesday evening, the GOP presidential hopefuls are gathering a third time to discuss the economy and why each of them is best suited to be the next president of the United States. The primetime Republican debate will air at 8 p.m. Eastern time on CNBC, and the candidates who have polled below 3 percent in primary polls will participate in a separate debate at 6 p.m. Eastern time. The debate will take place on the University of Colorado's Boulder campus. But who are the third Republican debate's moderators, and what can we expect from them at next week's event? 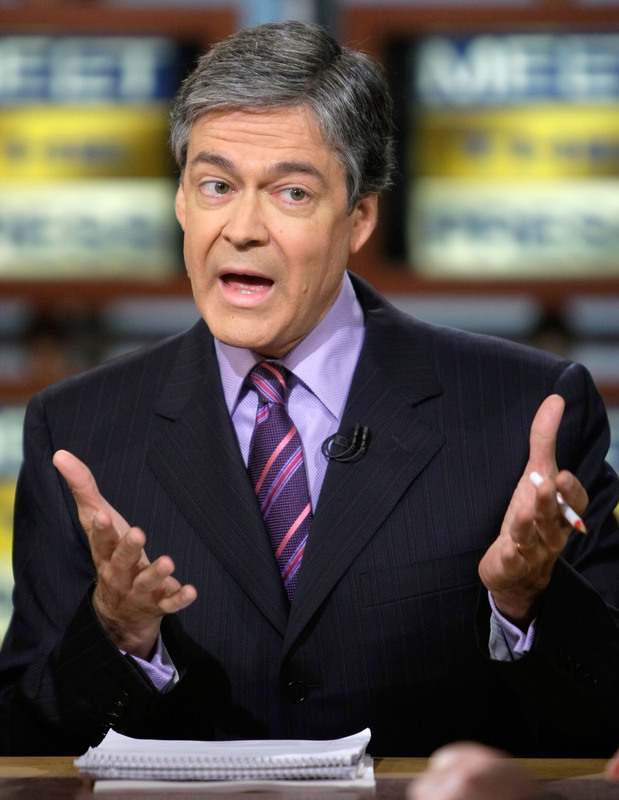 CNBC's debate will be moderated by John Harwood, Becky Quick, and Carl Quintanilla. Harwood is CNBC's chief Washington correspondent, and Quick is a co-host of CNBC's Squawk Box. Quintanilla, meanwhile, is a CNBC co-anchor of Squawk on the Street and an anchor of Squawk Alley. All three of the moderators are well-seasoned journalists and reporters, so it's safe to assume they'll be asking the candidates plenty of tough questions. Harwood, Quick, and Quintanilla also all worked at The Wall Street Journal before moving to CNBC, so the trio is perfect for asking the GOP presidential hopefuls about the economy. In addition to being the network's chief Washington correspondent, Harwood also hosts CNBC Digital's video series Speakeasy with John Harwood and writes about political issues for The New York Times. Before moving to CNBC, Harwood was the political editor and chief political correspondent for The Wall Street Journal. Harwood has been with CNBC since 2006. Quick, meanwhile, anchors On the Money, in addition to serving as co-anchor of Squawk Box. She has been at CNBC since 2001. Before joining the network, Quick covered a variety of beats during her seven years at The Wall Street Journal. Quintanilla, the debate's third moderator, won an Emmy Award in 2005 for his coverage of Hurricane Katrina for NBC. Quintanilla reported on the hurricane from New Orleans for several weeks. He also spent six years as a Wall Street Journal reporter before joining CNBC in 1999. They might not be household names for everyone, but Harwood, Quick, and Quintanilla have definitely made names for themselves in the journalism world. The three Republican debate moderators have been reporting for decades and have interviewed plenty of political figures, so don't expect them to go easy on the GOP candidates.